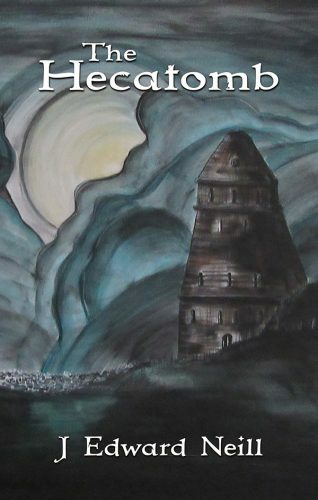 I’m giving away four free softcover editions of my spooky novella, The Hecatomb. All you have to do is click the creepy cover below. It’ll take you to Goodreads, where you can get clicky and enter to win a signed copy. There’s no catch. Entries are valid from Oct 25th – Nov 25th. In a drowned village, on a dark shore, in a city of white stones, an ancient evil stalks. It has no name, no face, and no desire but to see the death of everything… …and everyone. Down through the ages it exists, sleepless and void, a relic from the world before humanity. The Hecatomb includes four short stories, including previously published horror shorts Let the Bodies and Old Man of Tessera. Each story is set in the same world. If you’d like to straight-up buy or review The Hecatomb, follow the dark path here. Tagged Ancient Greece, Campfire, ghost story, Goodreads giveaway, Horror novel, Scary Short Story.